Take a trip to the kingdom of Andes – the second highest mountain range after Himalayas. This enormous mountain range guarantees super good snow conditions from mid-June to October. 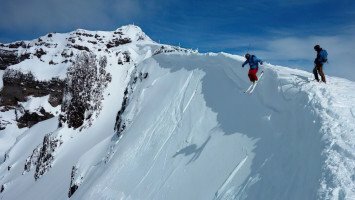 South America is not only renowned for heli, snowcat, freeriding or freestyle trips in Chile, but also for epic skiing and snowboarding conditions in Patagonia. So if you live in the Northern Hemisphere and your’re hungry for powder, call LUEX! 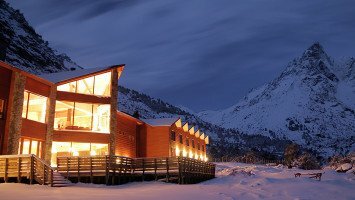 Ski in Patagonia and explore unique small mountain villages on the adventure tour of a lifetime! Culture, cuisine, kind people, what more could you want in a vacation? Oh yeah, epic powder and unforgettable ski terrain. South America has all that and more. 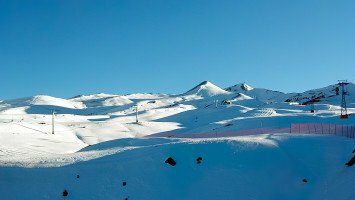 South America is home to one of the world’s newest and fastest growing ski and snowboarding scenes and is the perfect destination for a summer ski trip, because when it’s hot up north, the conditions down south are blue skies and snowy slopes. Though the entire continent of South America is covered in towering peaks and some of the tallest mountains in the world beyond the Himalayas, most of the best skiing is in Argentina and Chile is in the Andes, a steep stretch of mountains separating the two countries. 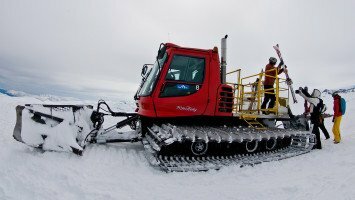 Skiing and snowboarding in South America offers a chance to ski at extreme elevations with some lifts reaching as high as 3,700 meters (12,140 feet). In the Andes, you can expect reliably good quality snow that is a mix between maritime snow pack and the dry powder of the central North American Rocky Mountains. South American ski areas have diverse terrain with excellent tree skiing and wide open spaces high above the tree line where you can enjoy incredible views. If you want not just a ski trip, but a cultural adventure too, South America is the place to go. From wine tasting and dining on authentic Argentine or Chilean cuisine, to touring timeless mountain villages or bustling Santiago, Chile, you’ll have a chance to experience the vibrant culture of South America. Not only is good food and world class wine abundant in South America, but it’s cheap too, so eat until you’re full and enjoy some of the highest quality meats, finest wines and decadent chocolates you may ever find. well and many resort towns are filled with tourists and English-speaking staff. Many of LUEX’s South America ski trips also include 1 or more days touring villages and cities. 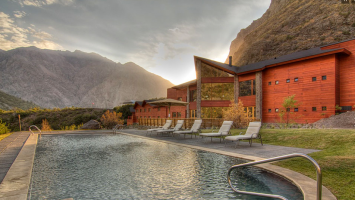 In most resorts and villages you’ll find the Chilean and Andean lifestyle moves at much slower pace and can be a welcome escape from the hectic ways of Europe and North America. Skiing and snowboarding in South America is a chance to escape the summer heat, experience a new culture and ski or ride some of the tallest peaks in the world, but there’s even more to love about this continent. In South America you can enjoy skiing at one of the few places in the world where you can ski from the rim of an active volcano, down to a warm, inviting natural hot springs to rest and rejuvenate, before hitting the slopes again. LUEX offers South America trips for every type and ability of skier and snowboarder from beginner to pro and from ski touring to heliskiing and everything in between. 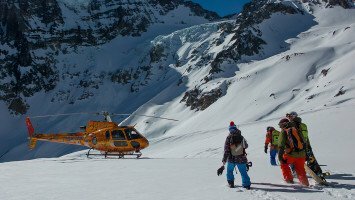 Most ski trips in South America are free ride, heli and ski safari’s though we do offer other types of trips and a chance to ski with South America’s only catski operator, Ski Arpa. 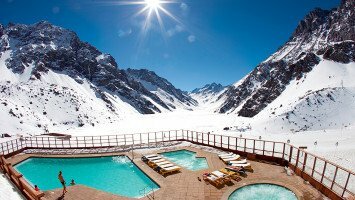 Budgets for ski trips in South America are in the medium to luxury range, but budget travelers will find something too. 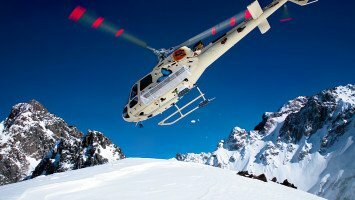 Some of our popular South America ski trips are the Patagonia Powder tour, the Chile Snow Adventure Tour, and Powder South trips, operated by the continent’s premier heliski business. 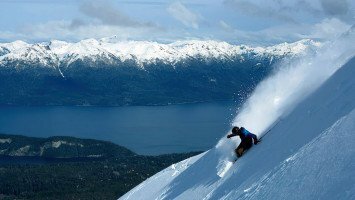 You’ll also find several freeride and freestyle camps in South America, perfect for anyone who wants to spend a little of their summer, fine-tuning their skills. Incredible cuisine, lively cities, epic heights and deep powder, do you need any other reasons to head south to ski or snowboard in South America? LUEX can help you book the perfect trip, so start packing and leave the rest to us.